Today I want to get extremely honest and authentic with you and to do that I thought I would write about something I have been on the edge about sharing for the past few months.. The reason I have been hesitant to talk about this is because i’m not currently enrolled in school. All my friends, former classmates, the athletes I know, my neighbours and even fellow family members are all currently enrolled. So when I had this gut feeling to take a break to figure out my life and honour my true emotions it was extremely difficult to justify my actions, not only to other people, but also to myself. On October 14th, 2018 I was at home writing a 10 page report on DDT (Mosquito repellant) when I found myself staring at my blank laptop screen asking myself the question “Is this what Sam really wants to be doing right now?” After two hours of toying with this question I broke down crying, called my parents and told them that I couldn’t do it anymore. I couldn’t go to school right now because I had this vision and aspiration that I could no longer push aside. My parents were out eating dinner with friends that night so they were a little shocked to hear my call but I think they both knew it was coming. I ended up taking a break from my university studies to give my dreams a shot. 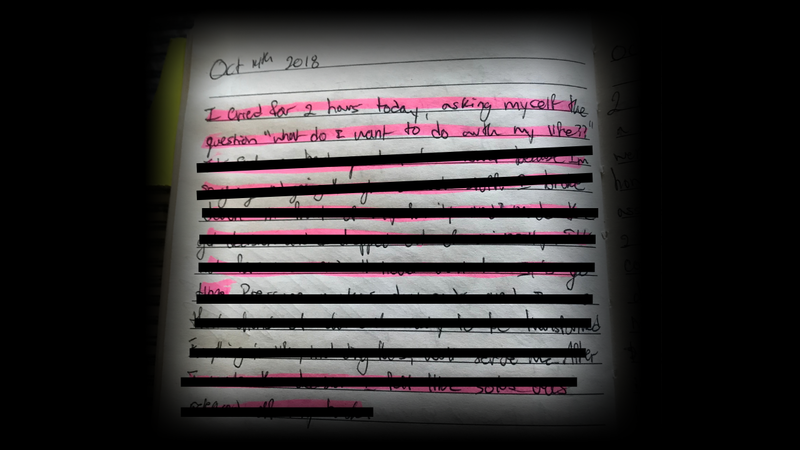 I attached a picture from my journal (something I will probably never do again) to show you how I really felt. I felt like I was holding myself back. I felt like I was wasting my talents and the potential to change the lives of thousands of students. I felt like I wasn’t honouring the gifts that god — or whatever higher power you believe in — had given me to serve the lives of other people. Leaving school was one of the toughest decisions of my life, but ironically the most fulfilling. Why Did I go to School in the First Place? 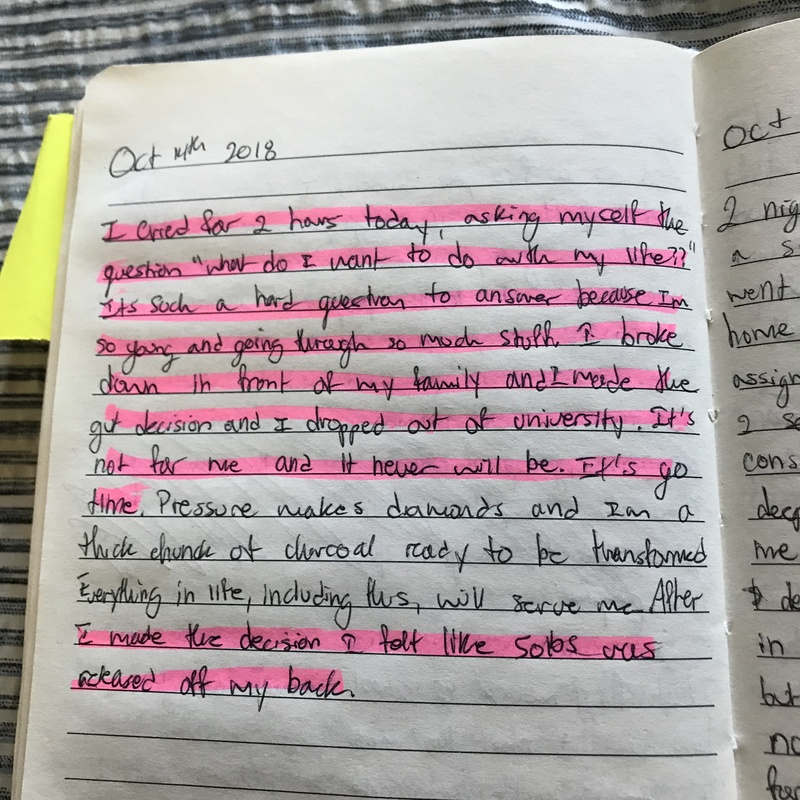 After this all happened I sat down to look back and analyze the real reason why I went to school in the first place and after chatting with a few mentors and meditating on the topic I came to a very surprising conclusion. There was two reasons that I could identify for my decision to go to school. The first reason was something known as social proof. Malcolm Gladwell, a famous thinker and author wrote a book titled, The Tipping Point. 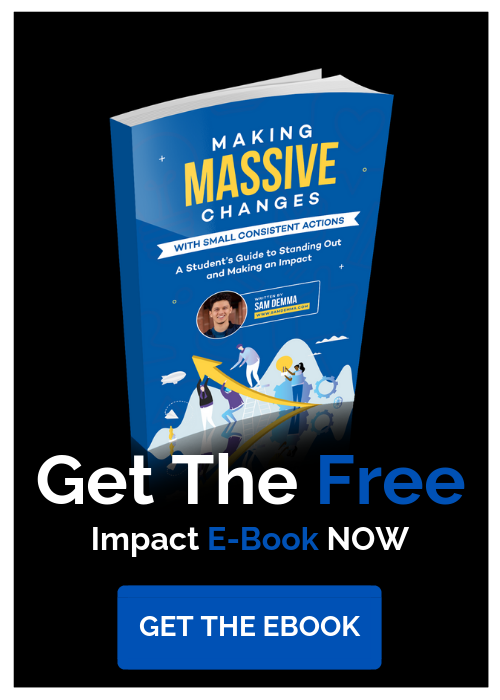 The entire purpose of the book is to uncover how small actions and movements can be transformed into global initiatives that go on to make a HUGE impact. In one of the chapters Malcolm talks about a concept known as social proof. Social Proof is a theory that states that human beings — you and I — determine our correct behaviours based on what we see the majority of other people doing. Here’s a perfect example. Have you ever watched a comedy TV show like Seinfeld, The Big Bang Theory or Two and A Half Men? Did you notice that after one of the characters in the show cracks a joke you hear canned laughter coming out of the TV? Almost as if there are 10-15 people laughing at what was just said. The reason all comedy TV shows include canned laughter is to encourage you to laugh along! When we don’t know what to do in any situation we resort to social proof, we copy the behaviours of everyone around us. The problem I had was that everyone around me was in school. Although deep down I knew my heart desired something totally different I was drawn into the conventional life pathway due to social proof, due to what I saw everybody else doing. It’s crazy how society has painted this picture in our heads that we life MUST follow this generic path. It’s crazy because I know how many people have suppressed their dreams and desires due to the thought that what they want is unacceptable by the standards of society. Don’t fall into the trap of social proof like I did. Base your decisions off what YOU want and follow through because life is way too short. The second reason I found myself in school was due to the word “should”. I literally should myself to death (credits to Codi Shewan). The problem with hearing all of these people’s opinions was that I began to buy into them. 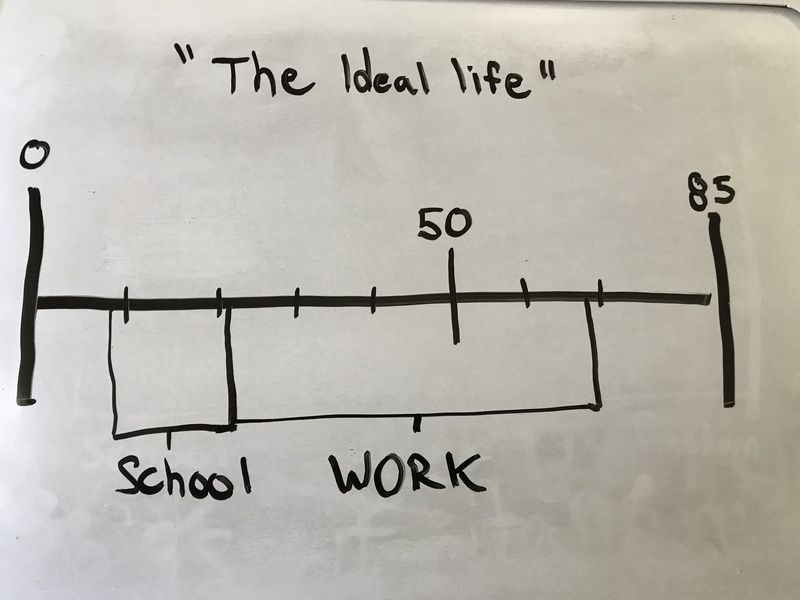 I began to buy into the idea that the only way to learn as a student and obtain “success” was to go through the system that was manufactured by society. I bought into the idea that although I didn’t know what I wanted to study I should still spend $20 000 – $40 000 dollars to get a degree in who knows what so that I can get a great job in a field that I don’t really care about. 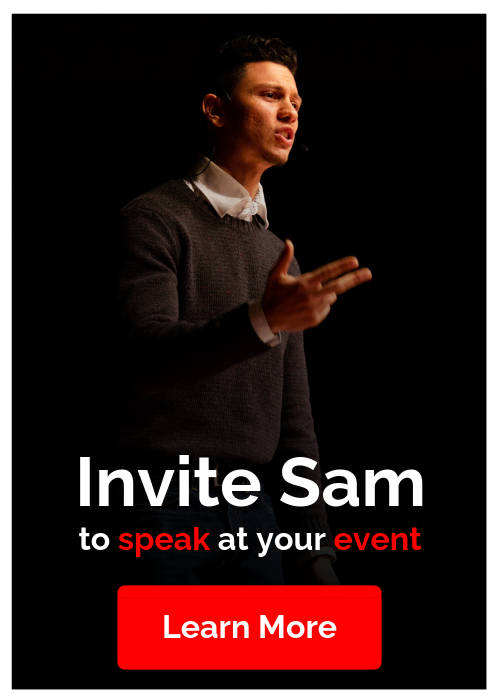 I listened to everyone else except for the little inner voice in my gut that kept screaming school is not for you right now Sam, go and follow your heart. So, I made the tough decision and took a break from university. 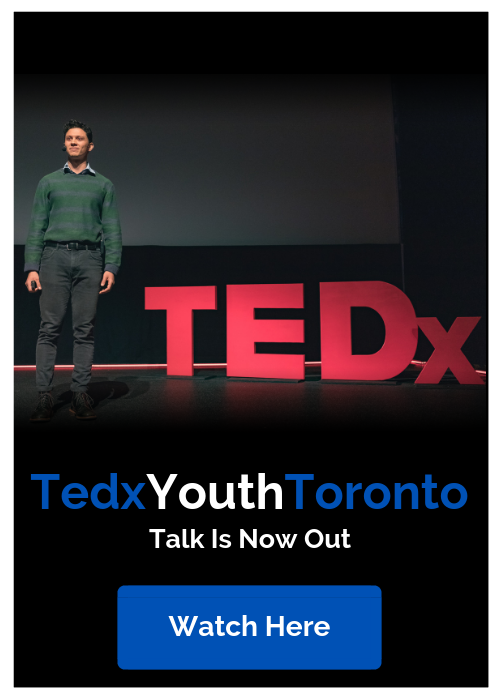 It will always be there and I can always go back but this opportunity to impact young people will only be most effective while im just as young as they are. If I wait to get a degree I will miss out on the opportunity to change the lives of thousands of students around the globe. It feels great to share this portion of my journey with you. I’m not ignorant to the fact that there will still be people who think this is a terrible decision, but at least I know who I am and what I want to do. I now wake up every morning with a burning desire to tackle my day and im certain that I’m living the life that was meant for Sam Demma.